The late Howard Walker, longtime vice chairman of Equity Lifestyle Properties (ELS), and prior Treasurer for the Manufactured Housing Institute (MHI) had at times a brusque sense of humor. Often the best part of many association or corporate meetings are when networking and socializing occurs. In fairness, that statement applies to MHI too. From time to time, like on a Labor Day weekend, my mind flashes back to an MHI or other industry event. 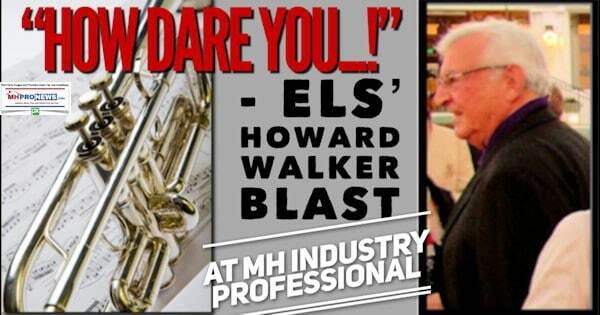 At the moment, I’m thinking of Howard Walker, who boldly approached at an MHI event, during the wind-down of a social/networking period a few years ago. The room was emptying. At the moment, I don’t recall the tune I was humming or singing from to those who remained, but perhaps it was from the 1812 Overture. Regardless, the melody was from a classic. His artificial anger melted into a smile. We discussed culture, music and the classics. As it turned out, Walker enjoyed the classics and cultural activities too. There are those on the outside looking in that have a ‘T-word image’ of manufactured housing (MH), manufactured home communities, and by inference, the professionals in this industry. To be sure, some among the MH industry’s own have that view of the business, and/or about themselves. Not Howard. He valued culture and the classics. For those who don’t know Carl Orff’s rendition of O Fortuna from Carmina Burana, here you go. This video clip has had over 21 million views on YouTube. Ya gotta believe that it was worth the time for those who viewed and listened. 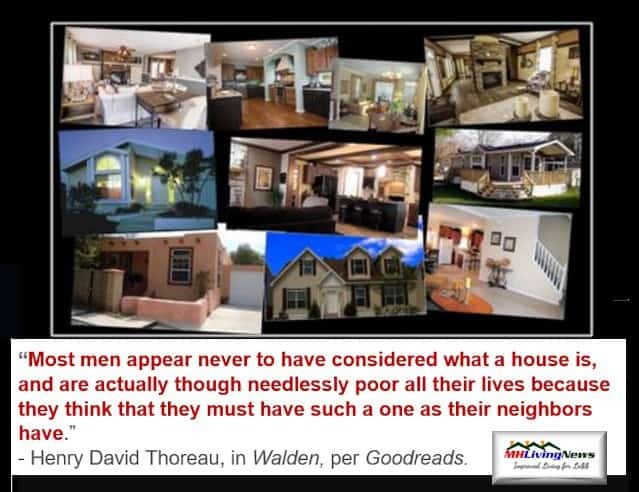 To round out culture, and connect it to our industry, let’s toss in some Henry David Thoreau too. As a kid, my brilliant father – Francis J. Kovach, Ph.D – was into the classics. Every Sunday, the notes from some mix of classical music – plus the periodic opera – came from behind his routinely closed study door. As he did his writing or research on some book or for a scholarly journal, to keep his focus amidst a big family, in hindsight that closed door and music must have been an oasis of sanity amidst the chaos of a somewhat raucous family life. By the way, for those who recall the movie Excalibur, it had a scene or two where a short clip of O Fortuna was also the soundtrack playing. Here’s one clip from that movie with that soundtrack playing, that has over 400,000 views. To achieve our industry’s potential, we must meet people where they are. We’ve spotlighted Elvis, Kid Rock, and Eminem’s connection to MHVille (see those linked under related reports, further below). Today, Howard, here’s to culture, the industry, and we raise this glass to you.